Our breadth of expertise means we can tackle from simple to serious and complex cases. We practise property law, family law, housing law, immigration law, criminal law, employment law and civil litigation law and we have specialist, experienced solicitors in each department. 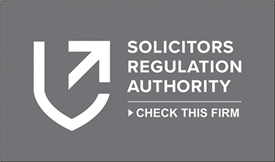 QualitySolicitors A-Z Law are solicitors in Balham who combine the very best legal advice with exceptional customer service. We practise criminal, immigration, family, housing and property, personal injury and employment law and our breadth of expertise means that we can help you with straightforward issues as well as serious and complex cases. As your local solicitor, we promise to make everything as simple as possible for you and to provide expert legal guidance whenever you need it. We’re here for you between 9.30am and 5.30pm including lunchtimes, and we’re open on Saturday mornings too. For your peace of mind, when you do talk to us you’ll find we use plain language - not legal jargon. With our free initial assessment promise, you can talk to us worry free before deciding what action to take. And our no hidden costs promise ensures that you know what our costs are upfront so there’ll be no unexpected surprises. If you’re looking for a solicitor in Balham, choose a name you can trust, choose QualitySolicitors A-Z Law.